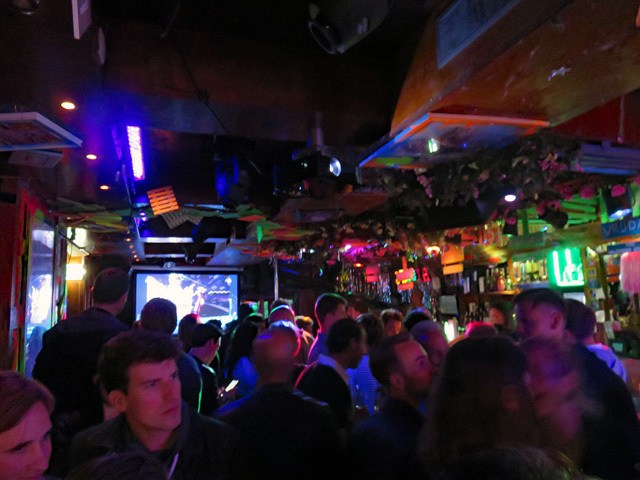 Exit Cafe is a gay bar in après ski style and is often crowded, as this is the only bar in the street which is open late into the night. 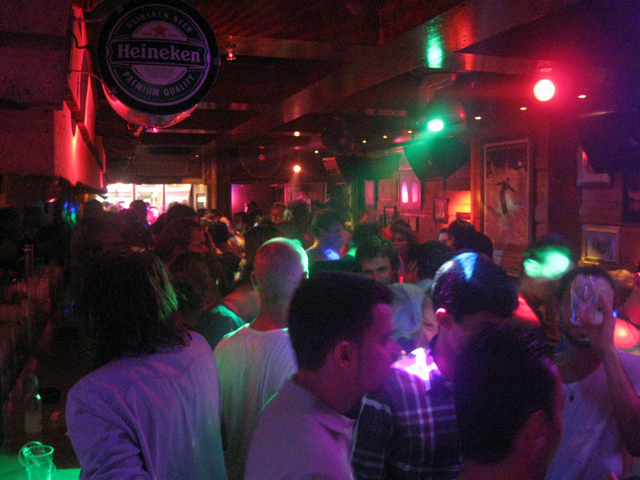 Although there's a sing-a-long atmosphere, the music is mostly House and international pop music, instead of the typical après ski songs. If its not too crowded you can dance a little bit, as there are almost no seatings, but there's colorful terrace all the year round. The Exit Cafe is part of Club NYX, previously Club Exit. The Exit Cafe is located in the right corner of an historical building, which is a former coach house dating back to 1766. When the gay disco Exit opened in this building in 1988, a first Exit Cafe was created in the left corner. Later on the cafe was moved to the right corner and renamed The Duke. This was no succes, so within a year it got back its old name and the present-day apres-ski styled interior was built. Due to a conflict between the owner, bar-tycoon Sjoerd Kooistra, and the Heineken company, Exit Cafe was closed for the time being on April 6th, 2010. 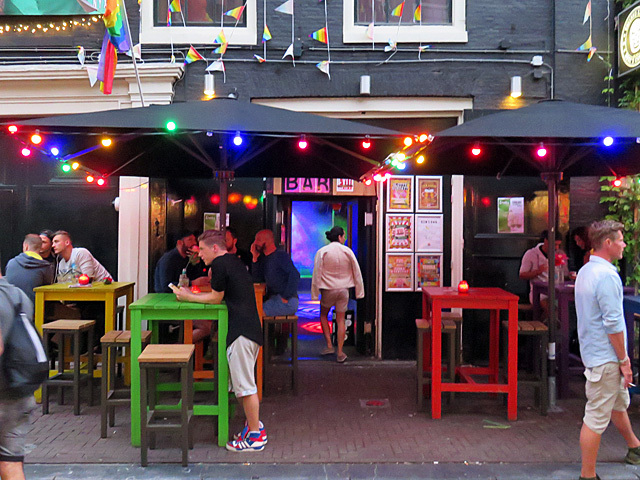 The bar was re-opened during Gay Pride 2011, keeping its old name and interior style.